This print can be made to say “My First Alphabet” or, if you prefer, you can include your child’s name. An original and fun art print showing all the letters of the alphabet including upper and lower case letters. 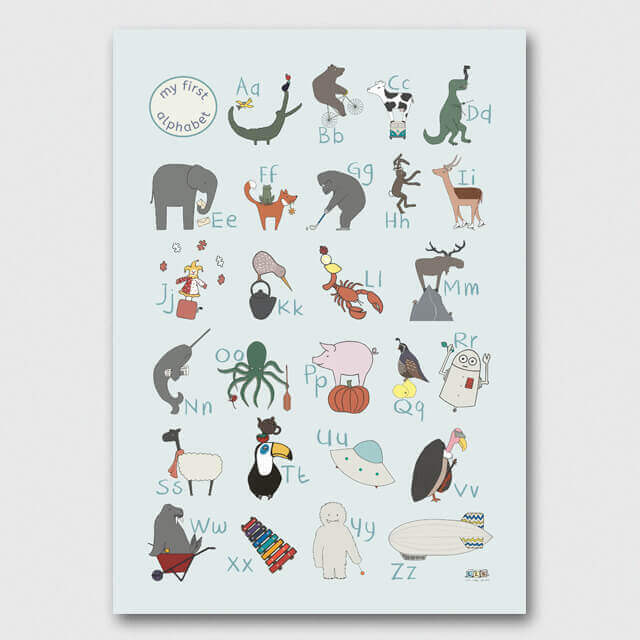 This print can be made to say “My First Alphabet” or, if you prefer, you can include your child’s name. Any alterations to the text should be mentioned at the checkout. 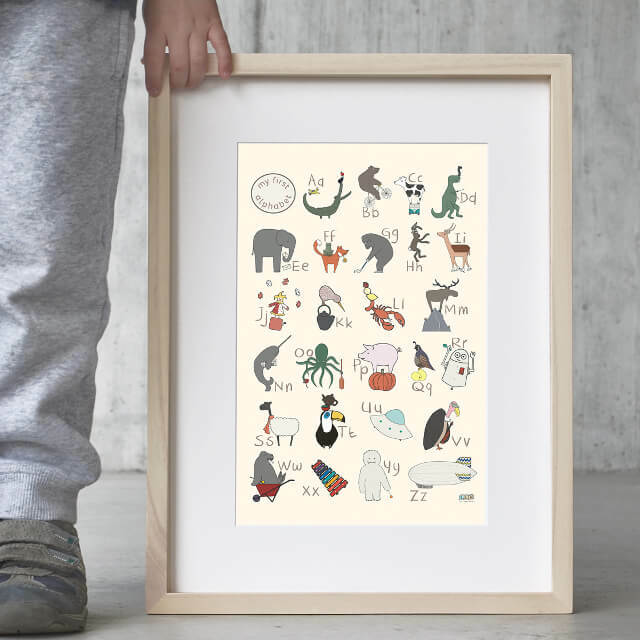 Each print is accompanied by an embossed and signed certificate, which lists all the animals, vehicles and quirky objects. The print and certificate arrive gift-wrapped in tissue paper. This original design by artist Jo Martin is taken from a collection of paintings which have been reproduced as a high-quality art print on archival paper. Using lightfast inks on premium acid-free paper ensures a lifetime’s durability. Please tell us any customisation requirements and your chosen colour by including your preferences in the comment box at Checkout.